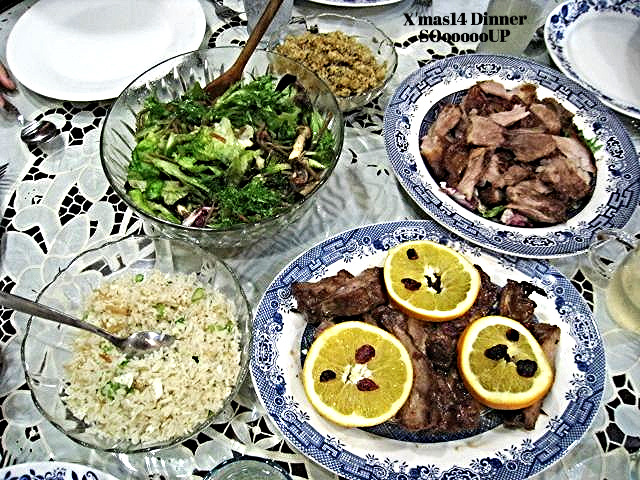 This year Christmas Dinner is simple affair as was busy preparing for wedding. 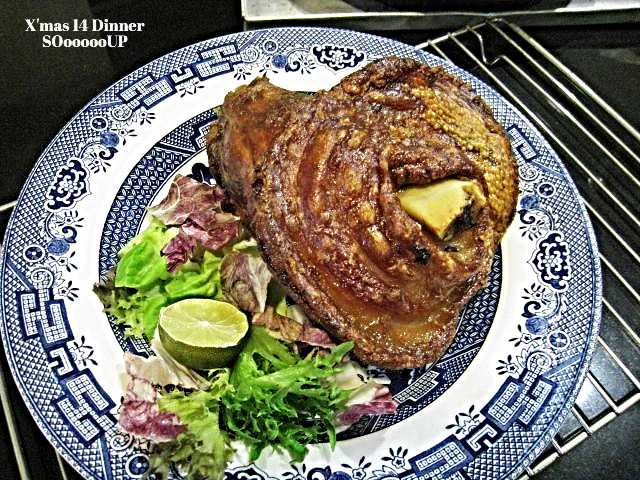 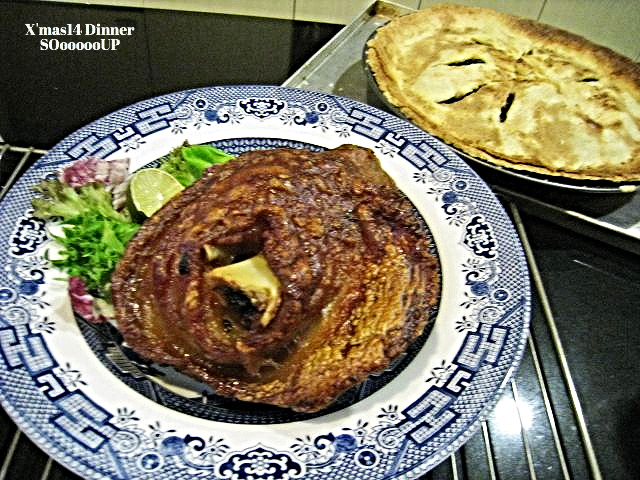 Bought from Cold Storage roasted pig knuckle and spareribs. 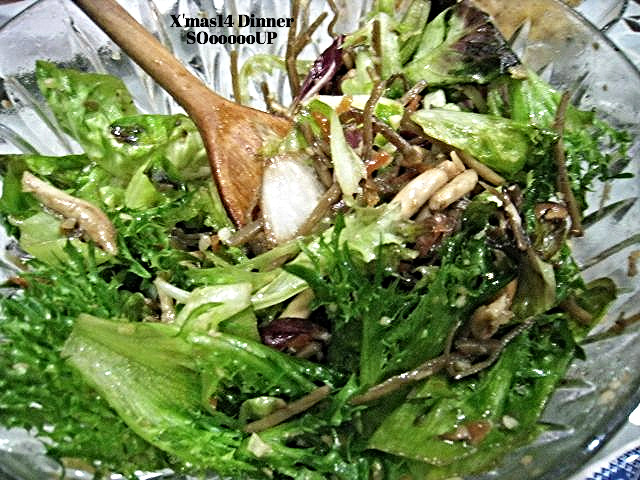 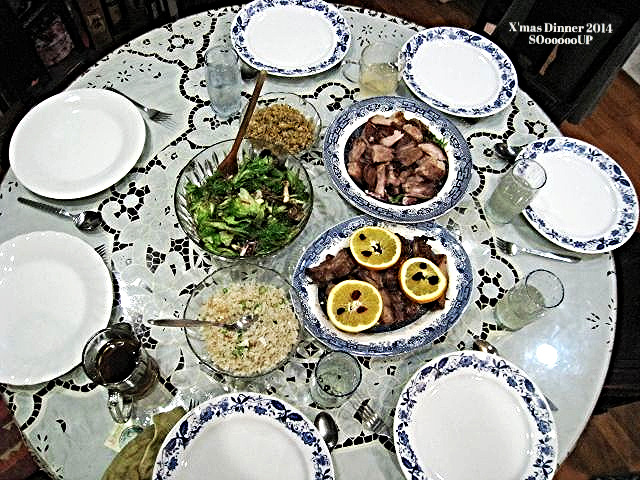 Additional dishes were fried rice and mushroom salad. 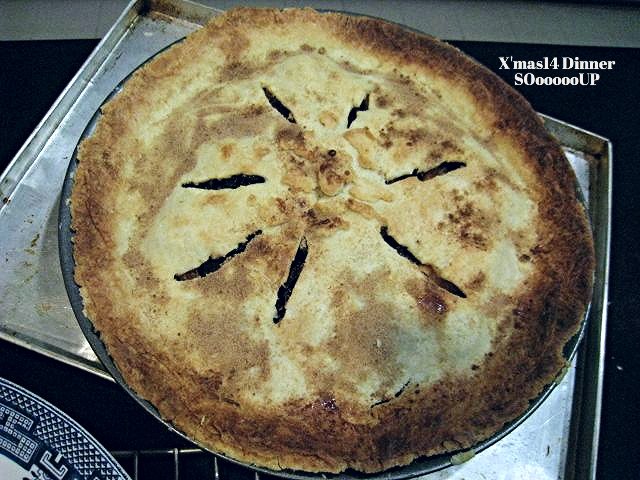 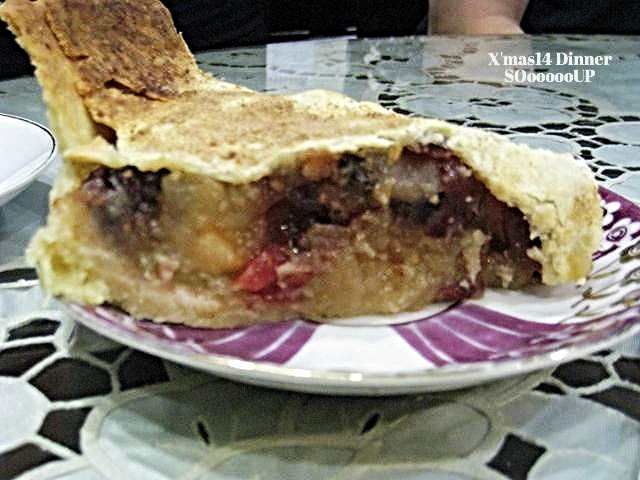 Baked an apple and cranberry pie as dessert.